KNM-ER 1470 is an almost complete cranium missing aspects of its anterior face, including portions of the zygomatic and frontal bones. The cranium exhibits relatively reduced supraorbital tori, and lacks a distinct supraorbital sulcus2. KNM-ER 1470 exhibits moderate postorbital constriction (though not as pronounced as australopiths), and no evidence of a sagittal keel2. Overall, the cranium shows little indication of powerful chewing muscle attachments. No tooth crowns were recovered for KNM-ER 1470, but the roots and the preserved alveoli suggest that the incisors and canines (anterior teeth) were of substantial size2, and that the cheek teeth were relatively large3. The vault of the cranium is relatively high, with parietal eminences and steeply sloping sides3. There is much debate as to whether or not Homo habilis and Homo rudolfensis are the same species. If they are considered separate species, KNM-ER 1470 is a good representation of the latter. The face of KNM-ER 1470 is relatively long in comparison with the H. habilis specimen KNM-ER 1813, and has a larger cranial capacity and larger cheek teeth3. Some argue that these specimens represent the male and female counterparts of a single species with marked sexual dimorphism, while others argued that the two fossils represent different species. Klein RG. 2009. The Human Career: Human Biological and Cultural Origins, Third Edition. Chicago: University Of Chicago Press. Schwartz JH and Tattersall I. 2003. The Human Fossil Record. Volume Two. 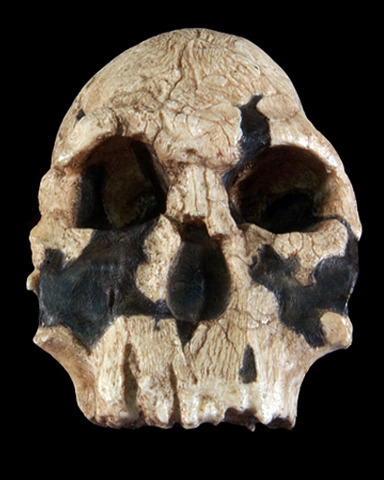 Craniodental Morphology of Genus Homo (African and Asia)_. Hoboken: Wiley-Liss.